"This cake is practical and can be for many uses. You can also add fruit in it if you wish." Blueberry Cake variation: add 1/4 teaspoon nutmeg to the dry ingredients and stir 1 cup fresh blueberries into the batter before baking. Cut in squares while it is still hot. I am sorry to report that my family and I did not care for this recipe. We found it to be extremely coarsely textured and very dry. 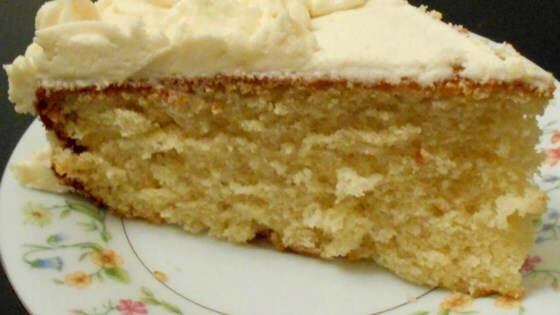 This is the best and easiest cake recipe I've ever tried! It's also the first one that didn't break when I turned it out of the pan. A true winner!